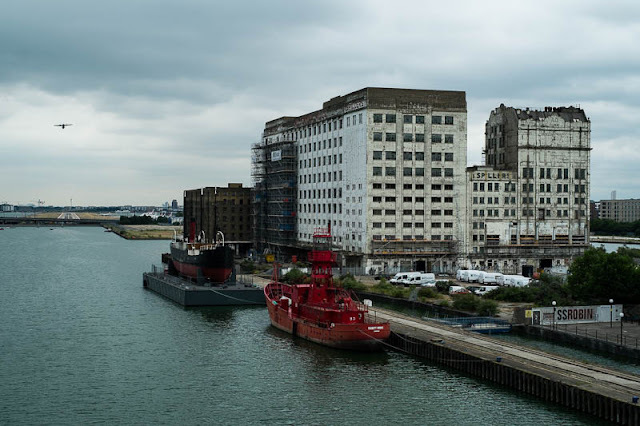 They call it Silvertown, it's right next to London airport. The views are great, the transport links are great and that building is stunning. I got to go inside. I will take you on a wee tour in the next couple of days and tell you more about it. Just check back in. Scaffolding on side, is it still being used? Looks like a great location with a view. Is its time on earth limited? From the looks of it, I'd wonder. The old Spillers flour mill in Cambridge is undergoing renovation and conversion to housing too; it's been going on now for nearly a decade.